It’s a long story, but we have had bare windows in the living room since we moved in. I honestly did not think we would be here more than 6 months, but now it’s been 2 years. 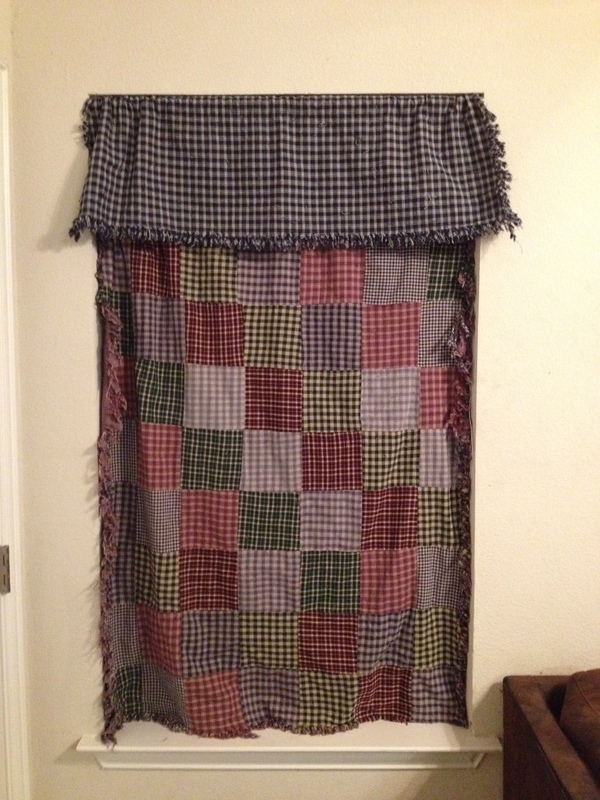 I finally made curtains! What do you think? Very nice! That’s ok my husband took off the closet door to refinish it. I can’t remember how long ago. It’s still off! Nice curtain!